Discuss the importance of comparative planetology to solar system studies. 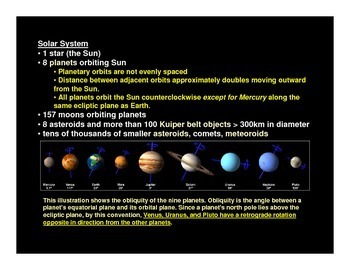 Describe the overall scale and structure of the solar system. 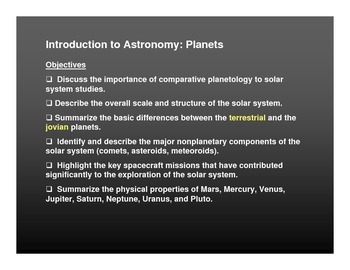 Summarize the basic differences between the terrestrial and the jovian planets. 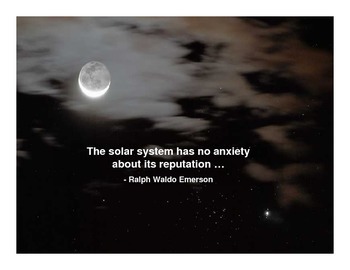 Identify and describe the major nonplanetary components of the solar system (comets, asteroids, meteoroids). Highlight the key spacecraft missions that have contributed significantly to the exploration of the solar system. 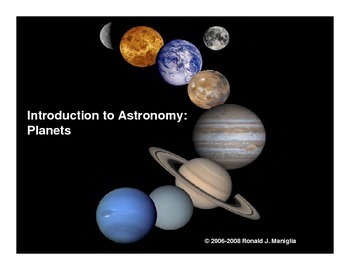 Summarize the physical properties of Mars, Mercury, Venus, Jupiter, Saturn, Neptune, Uranus, and Pluto.